Tossed this idea together for my oldest son's baptism. Super easy and fast. Yet still impresseive. 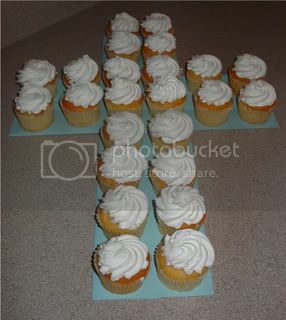 Set paper out in a shape of a cross then set your cupcakes on in the shape of a cross. Very sweet! Thanks for sharing your idea.